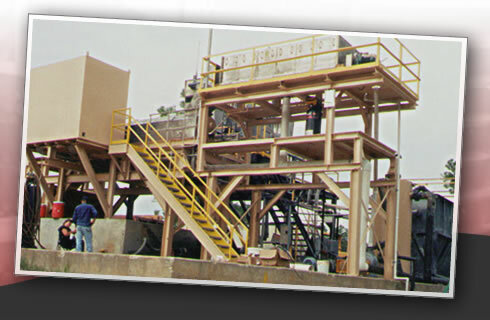 Thank you for your interest in the Highpoint Manufacturing LLC liquid and solids separation equipment and services. 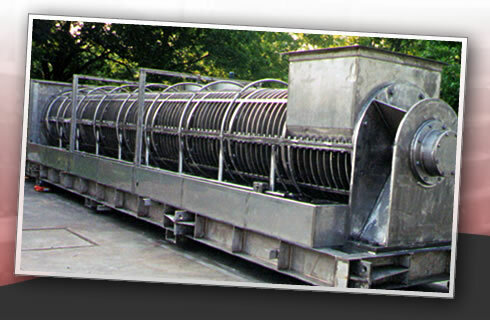 Screw Presses, Rotary Thickeners, Flocculation/Mixing tanks and Repulper Screws are preferred for environmental and process solids & liquids separation by paper mills, chemical plants, municipal waste water treatment plants, food processors, and biofuel plants. 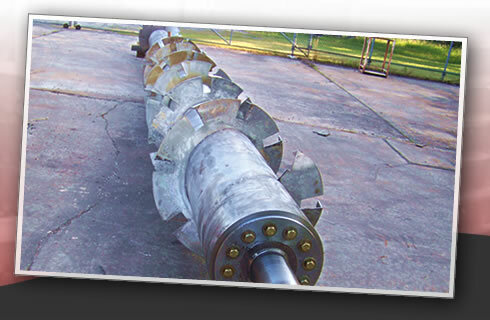 The cutting edge design of the Highpoint equipment follows in the footsteps of the Pioneer Point Corporation equipment which was the benchmark for many years. 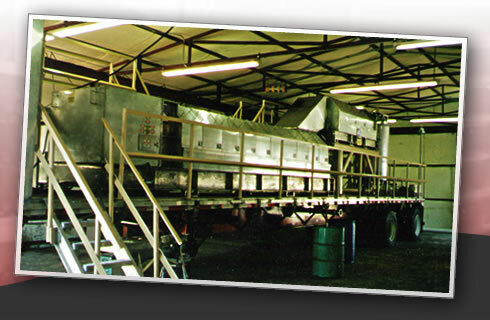 Highpoint continues to maintain and rebuild this equipment throughout North and South America for a long list of paper and chemical companies. 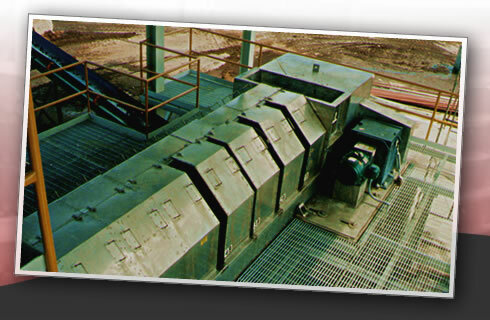 Our third generation equipment incorporates the latest and best design and manufacturing methods and material. Our engineering, quality control, and laboratory departments monitor the operation of our in-service equipment, as well as the development and manufacture of our new equipment. B.Shower System for Maximum Operating Efficiency. 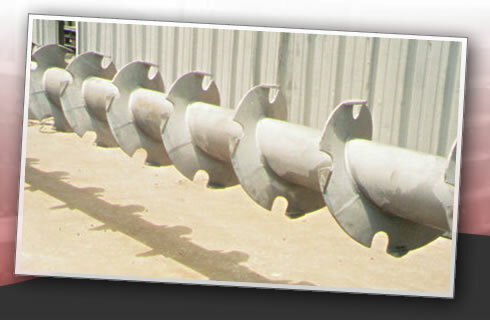 D.Replacement Screw Flight Edge Wear Plates. 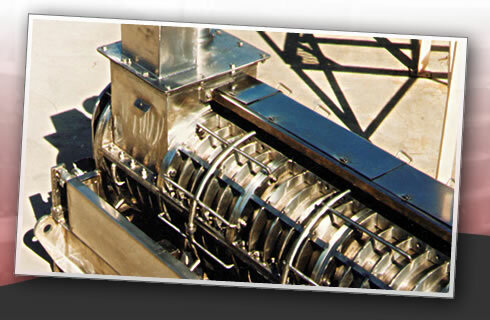 E.Direct Steam Injection (for difficult-to-dewater sludge). 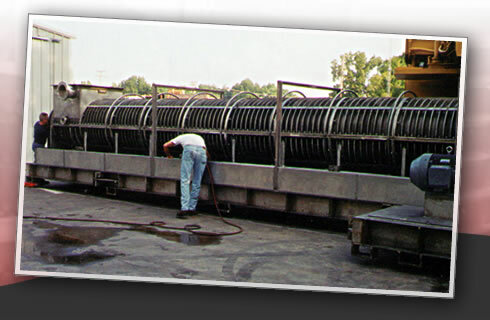 F.Heavy Duty Filter Screens for the Entire Length of the Screw press. 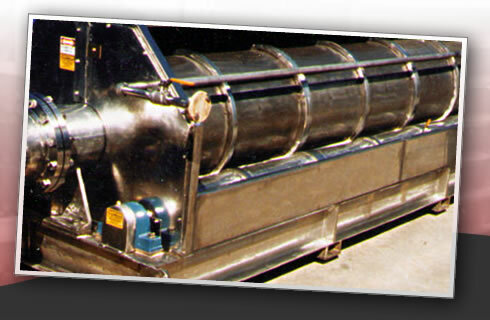 Highpoint equipment is 100% made in the USA by skilled craftspeople and is very heavy duty. 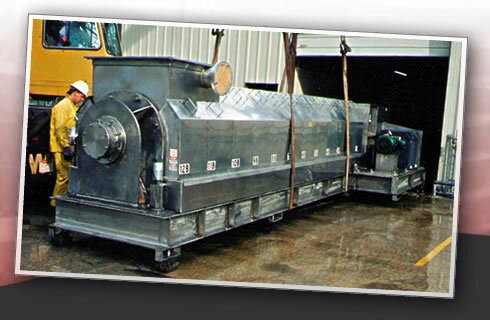 Our equipment is designed for 24/7/365 continuous and dependable operations with a minimum of maintenance cost. 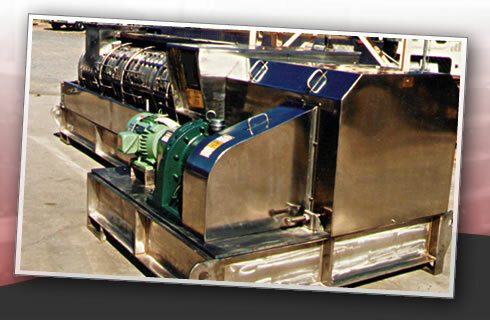 If you have plans for purchasing sludge, pulp, biofuel, or other types of solids & liquids separation equipment, we invite you to consider the proven, advanced technology of the Highpoint Manufacturing LLC equipment and services. 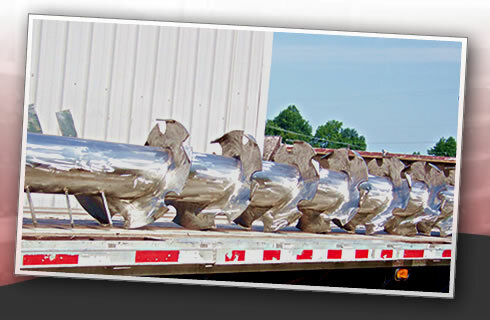 All of the staff and employees of Highpoint Manufacturing LLC are ready to assist you. Please do not hesitate to contact us!